Home » defacement » [PCA]Pakistan Cyber Army Hacked by [Indishell] "Indian Cyber Army" ! 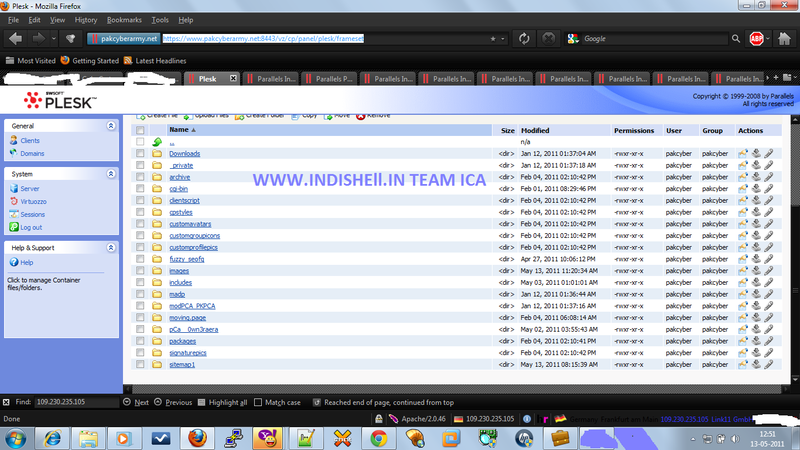 [PCA]Pakistan Cyber Army Hacked by [Indishell] "Indian Cyber Army" ! 's(pakcyberarmy.net) web site on yesterday!. PCA(Pakistan Cyber Army) had hacked the website of CBI on December 2010 .
now the Hacker From INDIAN CYBER ARMY had hacked whole database of pakcyberarmy.net .